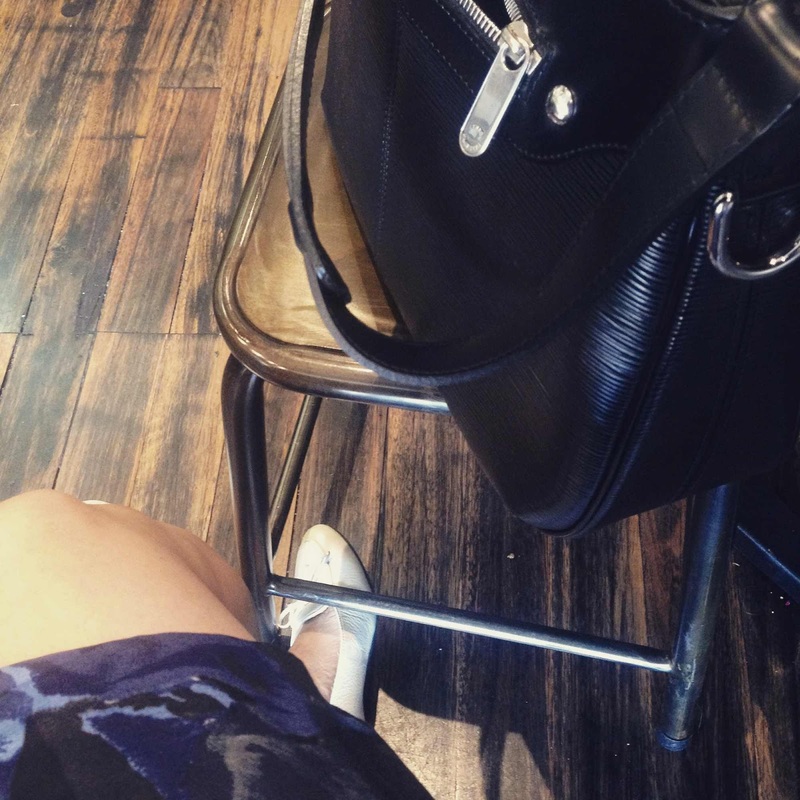 Sydney Shop Girl: 'Still Alice'. Quiet Time For Adults. Good morning and welcome to this extra early in the morning post. I beat my alarm clock, the sun's not up yet and the next hour or so is miraculously clear of things that need to be done. It's the kind of time that's just made for thinking and writing. How I last spent an hour I didn't have anything else to account for. Sitting outside a shopping centre next to a new mum and her bestie. 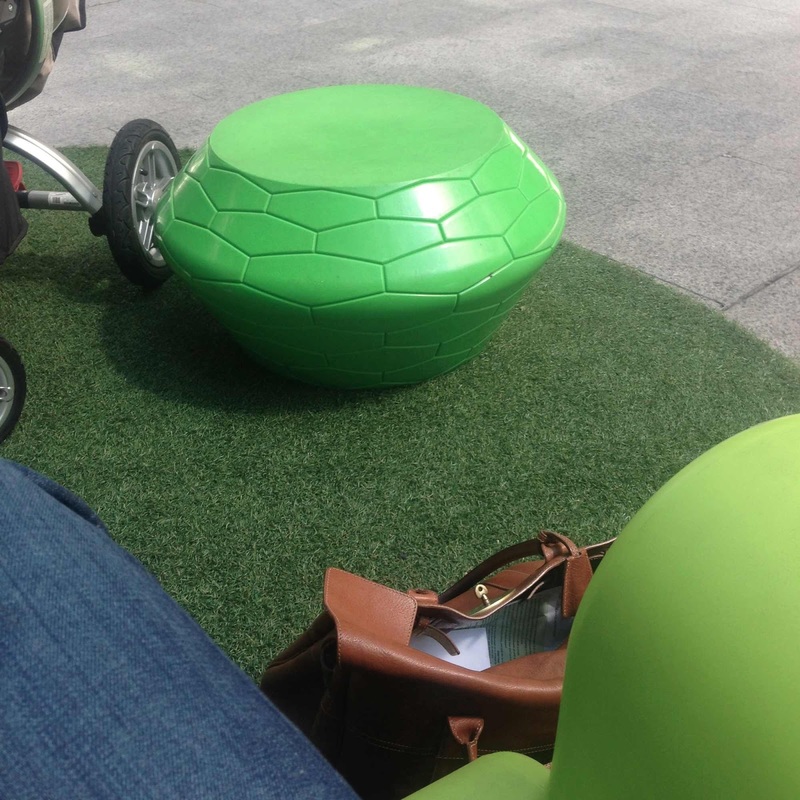 They fed the baby and I sat with my iPhone doing personal admin stuff, enjoying the sun and the solitude. I've just finished reading 'Still Alice' by Lisa Genova and I can't stop wondering about just how good the film is going to be. The cast is amazing (Julianne Moore and Alec Baldwin as an academic couple....) and the film has already received overwhelmingly positive reviews from the critics. But perhaps I should concentrate on the book. The Alice who is still herself of the book's title is Alice Howland, a brilliant and dynamic professor of psychology at Harvard. At 50, she is in the prime of her career with numerous publications, books and research papers to her name. She is a much loved mentor and a deeply respected peer. Giving talks and oral presentations are a challenge she relishes and enjoys. Alice and her husband John (also an academic) have three adult children, two of whom have followed in their parents' large footsteps by pursuing high flying careers in law and medicine. Lydia, their youngest daughter has the brains of her siblings but a creative hear and decides to embark on a career as an actress. Alice disapproves of this path as she can only see a lifetime of financial and professional uncertainty but John has been secretly supporting Lydia's ambition by paying her tuition fees for acting classes and also by attending the performances that Alice is often too busy to attend due to her gruelling schedule of interstate travel to present and teach. Life is perfect in it imperfections for Alice at the time of the novel's beginning. Her work has its ups and downs with professional jealousies, her children have their own issues and she doesn't ever seem to have enough time with her husband. But they do have so much more than the sum of their small problems and they often retreat to their summer house to remind themselves of this truth. But things start to change for Alice. The stumbles in her speech, the losing of her Blackberry, getting lost on her morning run, forgetting why she went into that room in the first place. As a psychologist, she knows she isn't depressed so perhaps it's menopause. A Google search confirms this for her and she moves on with life, relieved. However, the lapses start to affect her work. A presentation on concepts she pioneered veers off course badly simply because she couldn't find one word to express what she wanted to say. She somehow recovers by using vague filler words and she does recall the word hours later but the damage is done. Self doubt begins to set in and Alice decides to seek professional advice. A formal diagnosis of Early Onset Alzheimer's Disease is made on clinical grounds and then confirmed with genetic and formal neuropsychological testing. Medications are prescribed, counselling is offered and politely declined and then Alice and her family are left on their own to deal with the diagnosis, the lack of a cure and the reality that all of the children could potentially develop dementia as Alice's disease is inherited through an autosomal dominant gene. 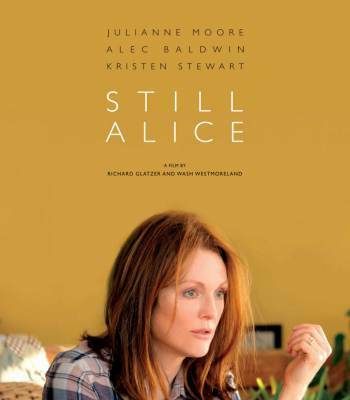 Aside from the strength of Genova's exploration of the changing dynamics that Alice has with everything and everyone around her as her cognitive function declines, what made 'Still Alice' burn itself into my memory is the portrayal of dementia from the perspective of a patient. As the months and chapters of the book progress, Genova creates vivid descriptions of what it feels like to have to work so hard at concentrating on something because your brain seems full of seaweed like sludge. 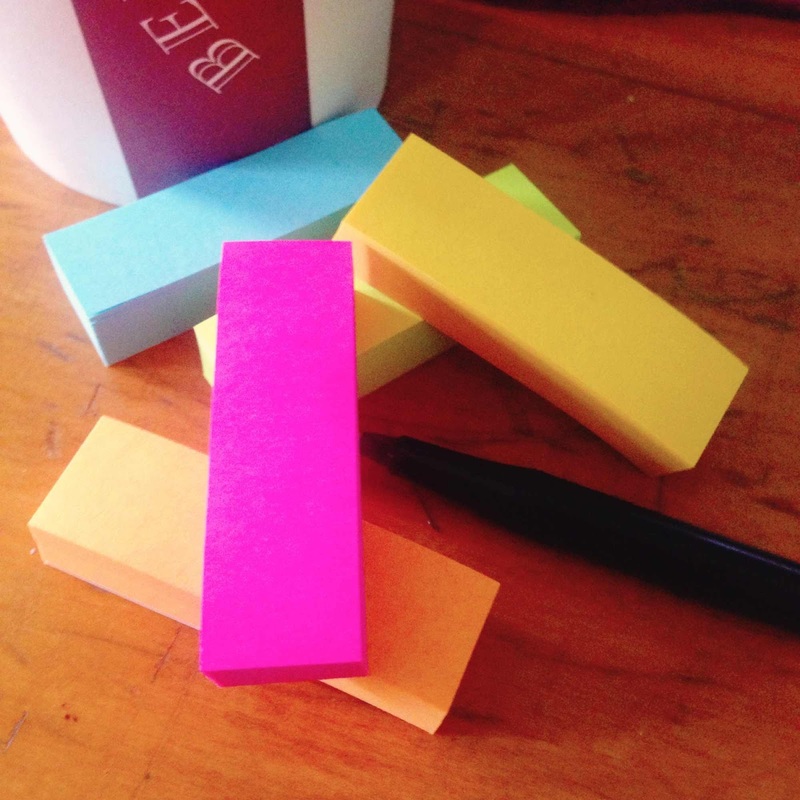 To have blocks of text dance around in front of you like highlighter pink puffs of cotton candy. To be almost paralysed with fear that a black hole has suddenly opened up in your living room and that no one else seems to be falling through it because they see the same rug that's been there for years and not the gaping abyss you know is there. And finally, that detachment from the lives of her family, seeing herself as an observer with an occasional feeling of warmth to the characters acting out their lives in front of her. The novel is also a unique perspective into the life of the kind of person to whom most would think 'dementia could never happen'. An intelligent, well of and vigorous woman. A woman who now finds that she has all the time in the world to train her body with running and yoga but whose intellect has atrophied into a mess of jelly like flab. A woman who somehow feels herself to be inferior to her husband has he charges on with his academic career, losing himself in research as he tries not to watch the losing of the woman he first married. And in a bittersweet twist, the woman who now finally understands her youngest daughter's path in life, even if she can't actually recall that the woman she is counselling is in fact her daughter. Lisa Genova is a psychologist herself and self funded the publication of 'Still Alice', her first novel. I'm looking forward to reading her other novels and reviewing them here on the blog. Life otherwise has been full of little jobs and errands. 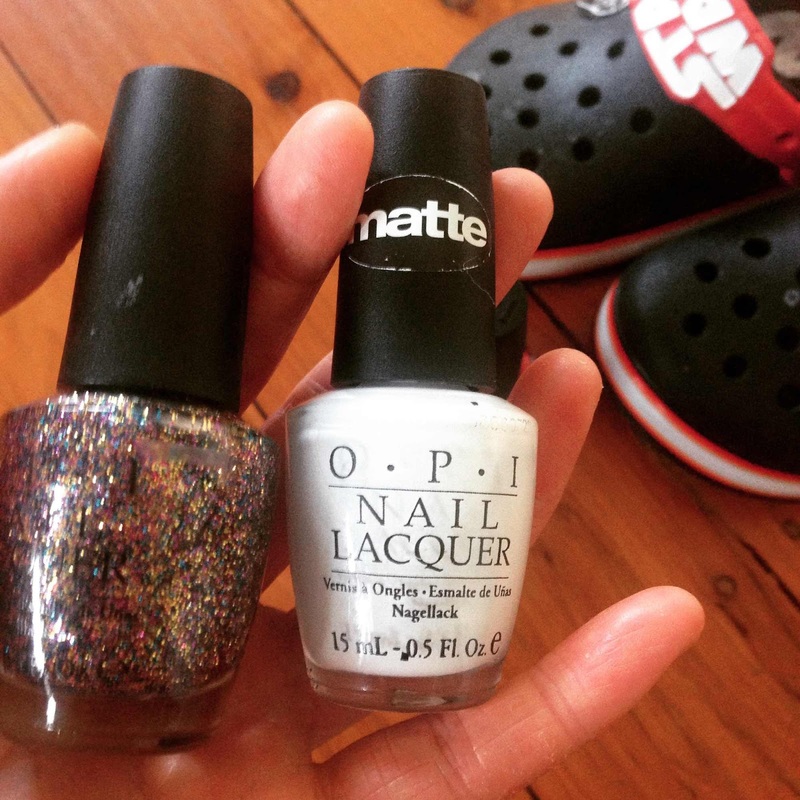 I've finally found a way of labelling Toddler SSG's black Crocs so that he can wear them to daycare. A base coat of Opi's Alpine Snow with a top coat of Sparkleicious should ensure that they'll always find their way back to Toddler SSG. 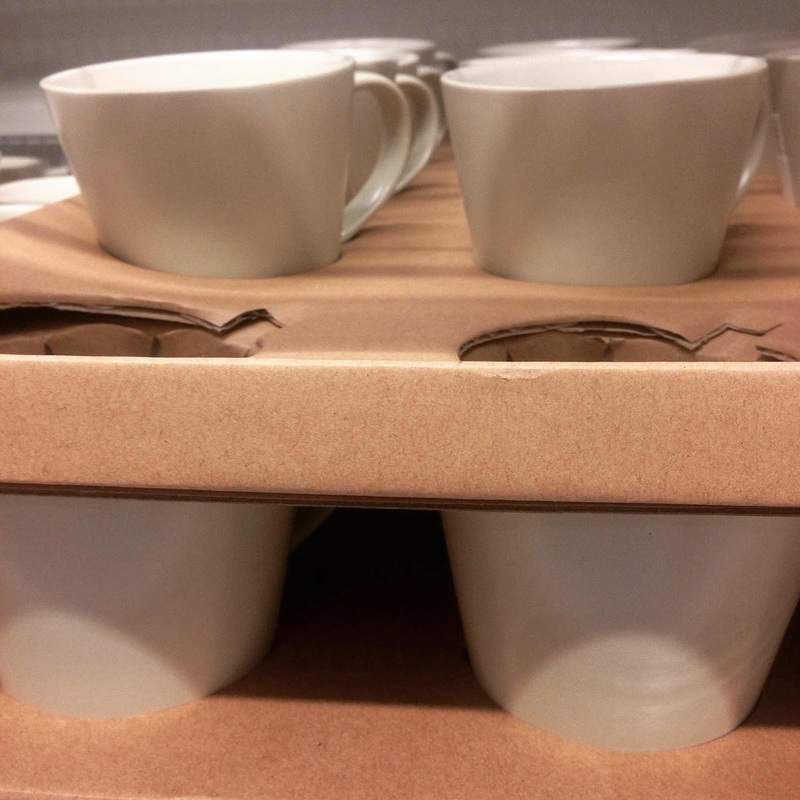 A mug crisis was averted when I managed to find dozens of 'my mug' in stock at Ikea. 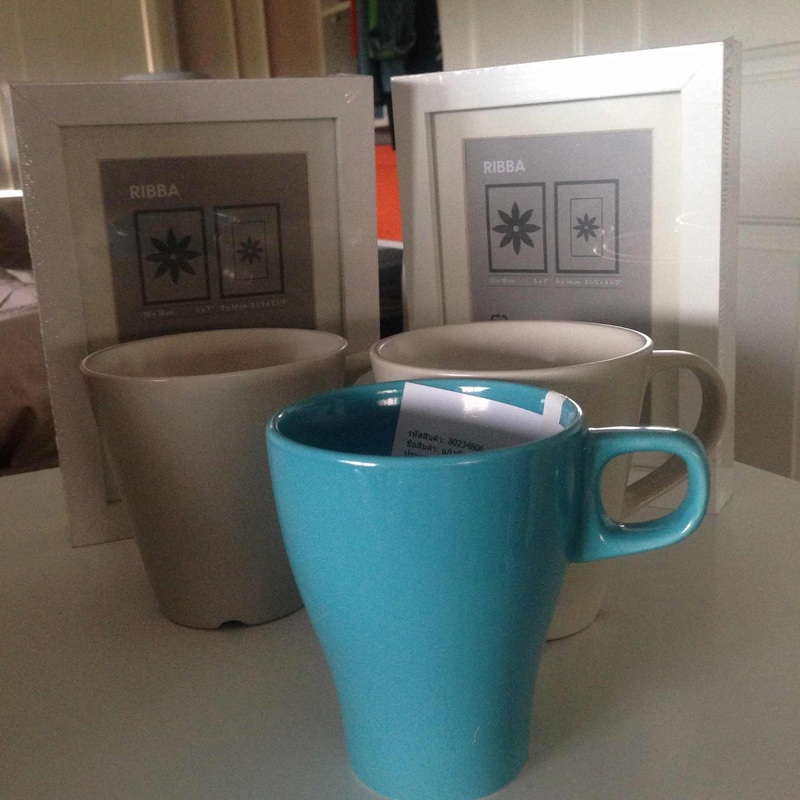 Along with the mugs, a couple of Ribba photo frames found their way home with my too. Are there things that you always buy at Ikea? Are you a mugs and frames person too? Work's been all sorts of busy. You know those days when it hurts to think at 2pm because you need lunch and the bathroom but it's beyond you to make either happen anytime soon? It's just as well there's quiet time for adults. Otherwise known as sitting in a cafe and waiting for your coffee order. Candles! Knew I forgot something. That book does sound rather interesting. Having family suffer with dementia I know it's not an easy thing to live with, but having it setup from the sufferer's point of view is a really intriguing angle on it. sadly I don't think I'll have time for the book or the movie soon, but I'll add it to my wishlist of books that I'd love to one day have time to buy and read, hehe! Thanks for stopping by MIca. Life is so busy trying to get back to work off maternity leave. But it does get easier and even fun very quickly! Lisa's book is on my list of books to read but I may see the film first as it is getting rave reviews here. My husband really likes Julianne's acting so he will accompany me to see the film. Thank you for the book review and enjoyed catching up on your blog posts. You must report back about the film. Thank you for catching up with me here. I've been doing the same with you but sorry not commenting too often. I always walk out of Ikea with storage jars, candles, a plant or two and one of their gluten free chocolate cake things with the marshmallow topping. The book sounds brilliant but a little close to home at the moment for me to read - one to come back to at some point in the future, I think! Thank you for your comment. I hope things are okay for you and the person in your life who may be going through this illness process.